Exclusive Experiences for The 148th Open at Royal Portrush including tickets, hotels, golf & party! Whether it is playing other courses on The Open rota prior, meeting former players or enjoying luxury hospitality. An exclusive invitation to Your Golf Travel clients to attend our Open Party including a guest speaker. Our experienced event staff are on hand to ensure your trip to The Open at Royal Portrush is as memorable as possible. 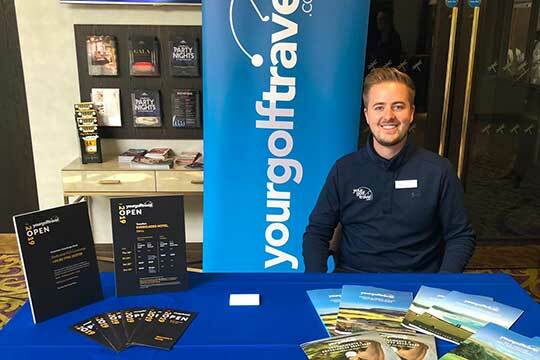 Whether it is securing a restaurant reservation, organising a last-minute round of golf or assisting with travel arrangements, our team will be on hand to help during your time at The Open. For many golfers they will enjoy our Open experiences as they are, we always enjoy putting together bespoke itineraries to make your trip as perfect as it can be. Golfers will be warmly welcomed throughout Northern Ireland, Belfast has great atmosphere and a visit to the world-famous Giant’s Causeway is a must. Perhaps a round at Portstewrt, Castlerock or maybe take a drive to the amazing Royal County Down. We are pleased to offer a host of experiences for The Open including Tickets, Open Championship Hospitality, hotels and golf. 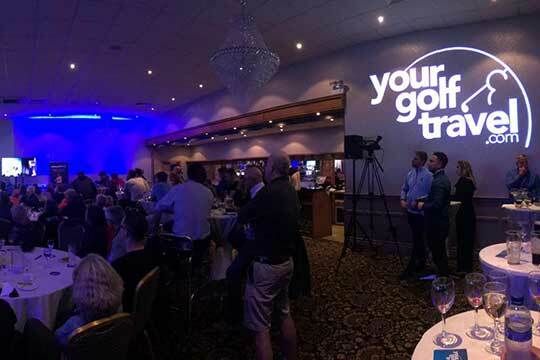 Your Golf Travel's experiences for The Open in 2019 are located within nearby locations including Antrim, Derry and Ballycastle. Golf's oldest Major Championship is regarded by many as the most prized title to claim. Since starting in 1860, The Open has been played at 14 different courses ranging from Prince's in Kent, which has held The Open just once, in 1932, to The Old Course at St Andrews which has held a record 29 championships since it's first in 1873. The championship differs from the other 3 Major Championships in that it has always been contested over links golf courses. These fast running layouts can provide huge drama with the requirement for shot making imperative to navigate across the humps, hollows and pot bunkers which line the playing surfaces. The additional factor, which has been associated with many Open Championships, is the Great British weather. 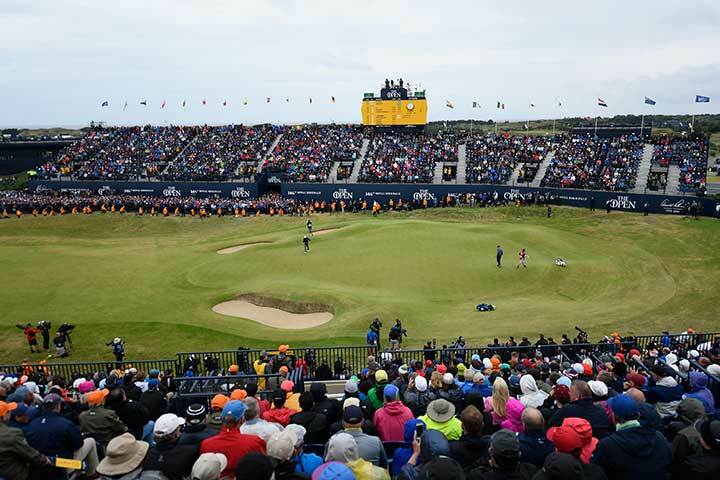 Whether this is the incredible events which took place during The Duel in Sun at Turnberry with stunning weather and unforgettable golf by Tom Watson and Jack Nicklaus, or it is the strong winds and rain that tested the world's best against the likes of Royal Birkdale or Muirfield. With some of the best ever players amongst those who have claimed The Claret Jug, The Open is a tournament woven into the game's rich tapestry. Whether it is Harry Vardon, the man who made the overlap grip so popular it carries his name, with his record 6 victories or the scenes at Royal Birkdale in 1976 which launched the great Seve Ballesteros to the forefront of world golf, there are so many memories and shots that have contributed so greatly to the game's history. Famous golfers who have claimed the title include record Major winner, Jack Nicklaus who not only achieved 3 victories but also a record 7 runners-up spots, or Bobby Jones who in claiming his 3rd Open in 1930 was able to complete the Grand Slam of both Amateur and Open Championship in Great Britain as well as victories in The US Open and US Amateur, this feat has never been matched. The 80th Open Championship was held at Royal Portrush in 1951, the only time it had been held outside Scotland or England. Max Faulkner claimed the Claret Jug that year giving us a British Champion but it took another 18 years for the next one with Tony Jacklin winning at Royal Lytham. The 148th edition of The Open will take place between Monday 15th and Sunday 21st July 2019. The actual tournament will take place between Thursday and Sunday with practice days organised for Monday, Tuesday and Wednesday. The event will take place on the Dunluce Links course at Royal Portrush. Mon, 15/07/2019 at 8:00 a.m.
Mon, 15/07/2019 at 7:00 p.m.
Tue, 16/07/2019 at 8:00 a.m.
Tue, 16/07/2019 at 7:00 p.m. Wed, 17/07/2019 at 8:00 a.m. Wed, 17/07/2019 at 7:00 p.m.
Thu, 18/07/2019 at 8:00 a.m.
Thu, 18/07/2019 at 7:00 p.m.
Fri, 19/07/2019 at 8:00 a.m.
Fri, 19/07/2019 at 7:00 p.m. Sat, 20/07/2019 at 8:00 a.m. Sat, 20/07/2019 at 7:00 p.m.
Sun, 21/07/2019 at 8:00 a.m.
Sun, 21/07/2019 at 7:00 p.m.
With our dedicated team of experts to advise, guide and plan your dream Open Experience in 2019, there's no need to lose sleep. We are pleased to offer a host of experiences for The Open including Tickets, Hospitality, hotels and golf. Your Golf Travel's experiences for The Open in 2020 are located within nearby locations including Canterbury and Ramsgate. Perched upon the towering sand dunes, overlooking Sandwich Bay, Royal St George’s is a masterpiece of English golf. It seems as though the ground it is built upon was made for spectacular golf courses, with Princes and Royal Cinque Ports, both also Open hosts, flowing over the same dramatic stretch of Kent coast. The layout at Royal St George’s, known by many as ‘Sandwich’, is among the best the best links designs in the world. Each and every hole on this epic course presents a unique challenge, with a host of features that contribute the character of the place, including the deepest bunker in the UK on the par-4 4th. It is that character that makes both professionals and amateurs alike fall in love with Royal St George’s, undoubted one of the best venues to host the Open Championship. After hosting the prestigious tournament 14 times, the course has become a bucket list play for many golfers and was listed at 22nd on Golf Digest’s ‘World 100 Greatest Golf Courses’ 2018. As the fourth most used venue in the illustrious history of The Open Championship, Royal St George’s has seen many of golf’s greatest players battle it out upon its legendary dunes. The history of The Open at Sandwich dates back over a century, to when it was first played there in 1894, back then it was known just as ‘St George’s’ before gaining royal patronage in 1902. Between the two World Wars, in 1922 and 1928, Royal St George’s saw the rise of Walter Hagen, as he came across from America to win the Claret Jug both times. Years later, in 1985, the now historic links witnessed Sandy Lyle become the first Scotsman to win The Open in over 50 years. The next time the tournament came to the dunes at St George’s was in 1993 when Greg ‘The Shark’ Norman won his second, and final, major championship. The most recent and perhaps most famous Open Championship to be held at Royal St George’s was in 2011. The fan favourite Northern Irishman, Darren Clarke, battled the conditions in Sandwich Bay and managed to maintain his form through all four rounds, leading to a surprising and memorable victory for the then 42-year-old. The world best again head to the legendary links of St George’s in 2020, when it will host its 15th Open Championship. With our dedicated team of experts to advise, guide and plan your dream Open Experience in 2020, there's no need to lose sleep.